Using international network, CUSIC adapts cutting-edge technologies to client’s business. CUSIC responds immediately for emerging trouble of client’s production system as well as for long term business development. CUSIC synthesizes technology, intellectual property, and alliance strategy for preparing and/ or improving the client’s business plan. He entered Toshiba Corporation as an engineer of VLSI processing technology. He transferred the developed processing technology from laboratory to mass production plants. He entered material development laboratory, Hoya Corporation. He developed a thin SiC film deposition technology for implementing the x-ray lithography. He developed an atomic layer epitaxy technology for forming mono-crystalline 3C-SiC film on six inches Si substrates. This was largest record of mono-crystalline SiC diameter at that time. He developed a technology for growing mono-crystalline bulk 3C-SiC. He invented unique technologies for enhancing the epitaxial growth rate and reducing the defect density. He established Hoya Advanced Semiconductor Technologies corporation (HAST) as one of the founders. He promoted development of 3C-SiC bulk growth technology. HAST started production of 3C-SiC wafers. He also started 3C-SiC MOSFET and GaN/SiC HEMT developments collaborating with partner laboratories. He developed an advanced homo-epitaxial technology for reducing extended defects in 3C-SiC. This results in implementation of Normally-off 600V power switching MOSFET with highest channel mobility of 370cm²/V/sec. 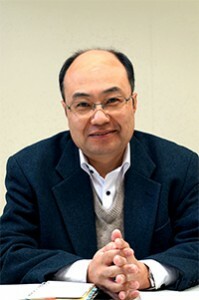 He joind Tohoku University, Research institute of electric communication, as a visiting professor. He is managing research project of SiC and Graphene.